Gunman's Family in NYC: "Shocked"
The gunman suspected of shooting at least 12 people and injuring several more at the Washington Navy Yard Monday was born in Queens, lived in the borough decades later and has close family living in Brooklyn. The suspect, 34-year-old Aaron Alexis, who also died Monday, enlisted in the Navy in New York City in 2007, according to records. 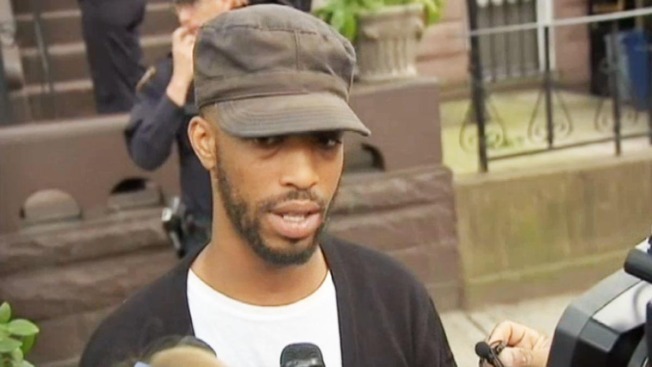 His mother, his 32-year-old sister and his brother-in-law now live in Bedford-Stuyvesant, the brother-in-law said. Another sister, in her late 20s, lives elsewhere. The NYPD and FBI visited the Putnam Avenue home of Cathleen Alexis, the suspect's mother, Monday, to gather information. The family is "very distraught," Anthony Little, the suspect's brother-in-law, told NBC 4 New York. "It's a shocking experience, nobody expected this," he said. "No one saw it coming, no one knew anything. So all of this is just shocking." Authorities have not disclosed a possible motive for the shooting. Little, who is married to Alexis' sister, said he'd never met the alleged gunman or had contact with him. He said Alexis was not close with the family and that it had been years since his wife had last spoken with her brother. "I didn't really hear anything that would make me feel like, as a newcomer to the family, that somebody should be watching him," he said. "No one mentioned anything about him being aggressive or being this type of way or anything like that." Little implored the media gathered outside his family's home Monday to "back off a little bit, give the family a chance to deal with this process." Alexis lived in Flushing, Queens from at least 2000 to 2002, where he was last registered to vote, according to public records. In October 2000, Alexis applied for a shotgun permit, listing his address as 77th Road in Flushing. The permit was canceled in 2003 because he failed to renew the permit. It's not clear whether Alexis actually bought a weapon. A neighbor who lived below Alexis and his family in Flushing said they were "very quiet" and that she couldn't recall "any problems" with them. Back in Brooklyn, neighbor Ryan Stoner said Alexis' family was "very quiet" and "very nice." The Navy says Alexis was a full-time reservist from 2007 to 2011, after enlisting in New York in May of 2007. He left the Navy on Jan. 31, 2011, as a petty officer 3rd class, the Navy said. It's not immediately clear why he left. Alexis was arrested in Seattle on May 6, 2004 for shooting out the tires of another man's car in a dispute about parking near a construction site, Seattle police said. Alexis told authorities he shot at the car in an anger-fueled blackout, Seattle police said. Detectives later spoke with Alexis' father, who lived in New York City at the time, and he told them that his son was an active participant in rescue attempts on 9/11 and had post-traumatic stress disorder. "Those events had disturbed him," Alexis' father told Seattle police. Investigators say there's no evidence Alexis participated in 9/11 rescue operations, according to law enforcement officials. Alexis was arrested in Fort Worth, Texas in September of 2010 for discharging a firearm within city limits -- a Class A misdemeanor. Alexis told officers he was cleaning the weapon when it slipped and accidentally discharged. He was not charged in that case because local prosecutors said it did not appear reckless.